As online gaming fans settled into the new year, some of the world’s largest casino game developers launched a number of new and upgraded online slot games. From Lucky Blackjack to Trolls Bridge and the Great Albini, the new releases offer fresh features and graphics. NetEnt went further with a Turn Your Fortune game inspired by French Art Nouveau. Meanwhile, Microgaming celebrates the 15th anniversary of its brand partnership with Lara Croft with new offerings to come. All in all, Microgaming, NetEnt, and Yggdrasil found fun ways to ring in 2019. First of the new online slot games of the year came from NetEnt, which revealed its trademarked Turn Your Fortune™ slot offering on January 3. Using inspiration from 19th century French art nouveau, the game uses unique fonts and French symbols to capture players’ attention. As a 5-reel, 4-row, 40-betline game, players have multiple ways to win. 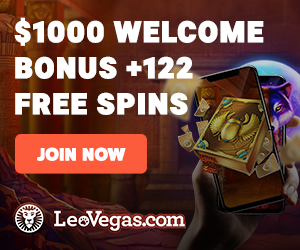 Free spins come from the free spins wheel with three tiers of spins to be won, and winnings can be up to 2000 times the original bet. Fortune re-spins pay up to 200 times the bet. And both can be triggered by the same spin, providing a lot of movement and excitement. Furthermore, Turn Your Fortune™ differentiates itself from many other slots with fresh graphics and ways to win. As blackjack has long remained a favorite game of online casino players, this version is sure to interest many looking for something inventive and more exciting. Sonya Blackjack has been updated and now has a sister offering in Lucky Blackjack. Lucky Blackjack features Lucky, the blackjack dealer, who operates in 3D and offers two side bets. Lucky Lucky™ and Lucky Ladies™ are exciting side bets that give players more ways to win. In addition, the Irish theme gives it a different vibe, and players quickly take a liking to Lucky. Meanwhile, Sonya Blackjack, with dealer Sonya, has been updated to include side bets. Players who may have tired of Sonya can now return to experience the new version, which includes faster movements and pre-decision features. Both online casino games also feature a corner picture of a player’s betting history and the ability to replay winning hands. Yggdrasil’s REDUX™ technology has made all this possible. In the realm of online slot games, Trolls Bridge is a new world in which funny characters highlight the fast-moving game. Numerous features find the trolls ready to offer free spins, multipliers, and wilds. Extra bets offer players the chance to play the Golden Bet option for max-bet players, which offers more ways to win. Interestingly, the feature rounds mix up the action, with the bonus pot containing more free spins or coins, while the bonus stone brings with it extra multipliers and coins. Wins can be as much as 2000 times the original bet. The minds at Foxium delivered this game to Microgaming featuring the magician, the Great Albini, and his assistant Lily. Graphics include items featured in magic tricks along with a mystical soundtrack. And when Lily vanishes, she turns into a wild symbol for more wins. The 5-reel, 25-payline slot offers wilds, entire wild reels, and up to 12 free spins at a time, with paylines increasing up to 50 at times. The mystery box respin feature offers a chance to unlock boxes that include rewards. And a new bonus box is available throughout the action with the opportunity to purchase free spins with the Lily feature. It all sounds complicated, but it magically makes sense, courtesy of the Great Albini and his illusions. Many online casino game developers now have brand deals, but Microgaming was one of the first to launch into a such a relationship. And now, Microgaming celebrates the 15th anniversary of its partnership with Square Enix for Lara Croft ® games. The first game developed in 2014 was Lara Croft: Tomb Raider™. The game was an immediate online slots hit. Four years later, Tomb Raider: Secret of the Sword™ followed in the same footsteps. And continuing with that relationship, there will be a third game in the series. Triple Edge Studios is working with Microgaming to develop the new game, which will be released in 2019. In fact, this year’s ICE Totally Gaming 2019, the largest gaming conference in the world, will offer an advanced preview. From February 5-7, ICE in London will provide a first look at the latest Lara Croft online casino offering. Meanwhile, the Microgaming exhibit at ICE 2018 gives an example of what the company may have in store.